The S&P Case-Shiller Home Price Index for the Miami metro area fell again for the three-month period ending November 2010. 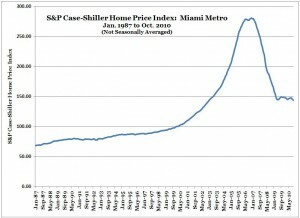 But the recent new lows are barely below the prior low of May 2009, and the latest month’s data from the S&P Case-Shiller Index is actually more like a flattening of prices than any sort of significant new low. 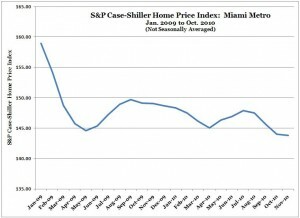 I’ve been as bearish as they come on Miami real estate prices, but folks, the crash already happened. Perhaps another crash from these levels is possible, but it’s a whole lot less likely than it was from the levels that prevailed several years ago. Not that we couldn’t grind lower another 10% or so. But we’re just not in crash mode any more. And not everyone would choose to forego the right home over a fear of losing 10%. It’s not like several years ago, when you could rightly fear losing 50%. The grand home at 5001 Pine Drive in the Ponce-Davis neighborhood of Miami near Coral Gables sold recently. 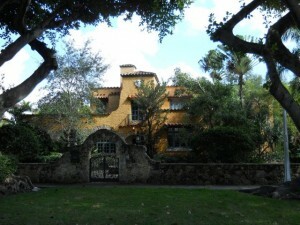 A significant concentration of luxury homes dots the landscape in Ponce-Davis. Right next door to 5001 Pine Drive is the monumental home that Facundo L. Bacardi (yes, of the adult beverage dynasty) is building on 3.65 acres at 4975 Pine Drive. Valuing this luxury real estate sale will be a challenge for brokers in the Miami and Coral Gables market. There will be two big points of contention. First, the deed, as recorded, indicates a price of $3.8 million (or $422.55/sf). But on the MLS, the sale is reported at $4.05 million (or $450.35/sf). Word has it that the difference is that the sale included the furniture, and the parties subtracted $250,000 for the value of the furniture when the deed was recorded. If you were really cynical, you’d say the seller overstated the value of the furniture to save on deed recording taxes. But seriously, is someone selling a $4 million-ish mansion in Ponce-Davis — who just accepted about half a million less than the asking price — really going to openly cheat on their taxes in order to save a relative pittance on the measly deed recording tax? We’re talking about a deed recording tax of 0.60%, which amounts to $1,500 when applied to the $250,000 at which the furniture was apparently valued. 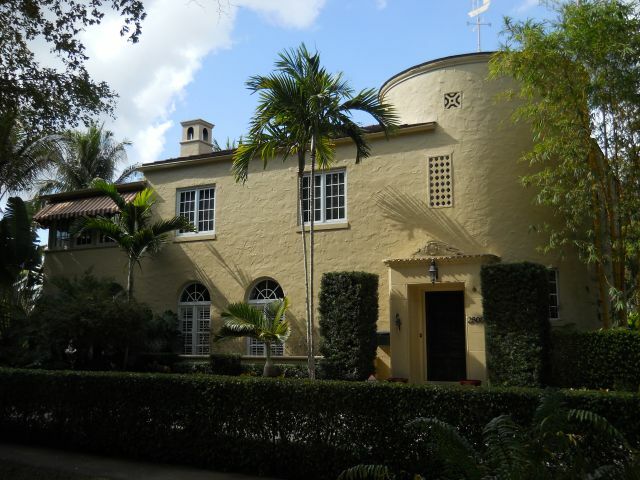 I’m going with $3.8 million as the true sale price of this Miami mansion. The buyers could easily have spent $250,000 if they hired an interior designer and redecorated. Kudos to them for slumming it and living with the used furniture that outfitted every room perfectly well. It was all high-end stuff, of course, and now the buyers can enjoy their lives instead of hassling with a design project. The second problem in valuing this comp sale is that the listing stated the square footage as 10,900. That was an “according-to-owner” figure. Miami-Dade County land records, on which listing square footage is usually based, put the square footage at 8,993. At 10,900 square feet, either sale price ($3.8M or $4.05M) looks like a good deal at well under $400/sf. At 8,993 square feet, the deal is more in line with recent sales in the low- to mid-$400/sf range. 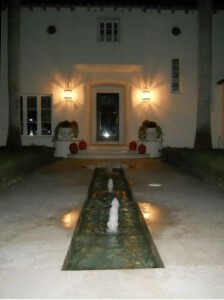 I would look to the Miami-Dade public records on this one, to be consistent with the way properties are usually listed. That’s what the foregoing $422.55/$450.35 figures reflect. Gotta compare apples to apples when doing comp sales analyses. 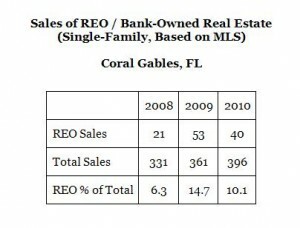 Sales of bank-owned properties fell in Coral Gables in 2010 compared to 2009, on both an absolute and percentage basis. 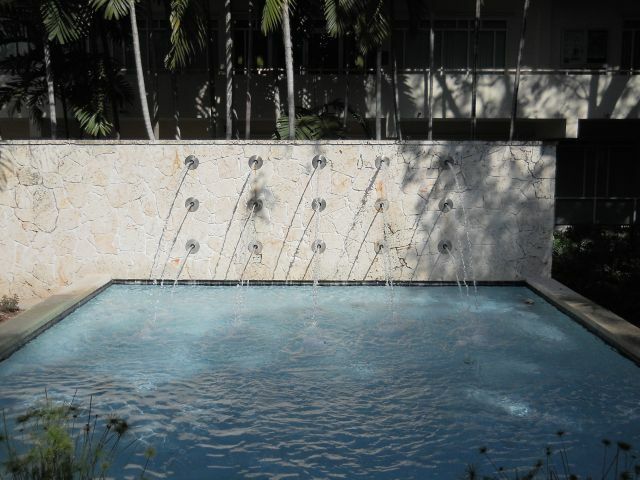 The Daily Business Review reported last week that a Miami trial judge held six banks in contempt of court, and threatened bankers with jail, in connection with the default-besieged Bird Grove Condo at 2734 Bird Road in Coconut Grove. The Bird Grove exemplifies one of the ways in which the financial industry has socialized the consequences of the bust after privately profiting from the boom. Two units in the Bird Grove are bank-owned (REO or real estate owned). Seventeen others are in default, but banks have not followed through on the foreclosure process and taken ownership. With ownership comes responsibility for condo association dues, taxes, insurance, maintenance and all the other joys of home ownership. And when repossessed properties are sold, banks must recognize the losses on their balance sheets. So instead, banks leave the units in limbo, avoiding expenses and deferring loss-recognition. When half of the unit owners aren’t paying either, the condo association is starved for dues and the building goes downhill fast. The court appointed a receiver for the Bird Grove, who found a condo building where “garbage hadn’t been collected for weeks, electricity was about to be cut off, the building had no insurance, and an elevator was broken,” according to the DBR. 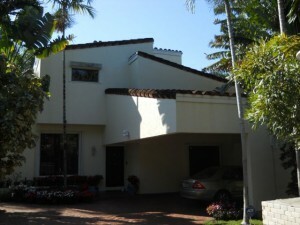 Bird Grove Condo, 2734 Bird Rd. The good news for the banks is that the law is on their side. 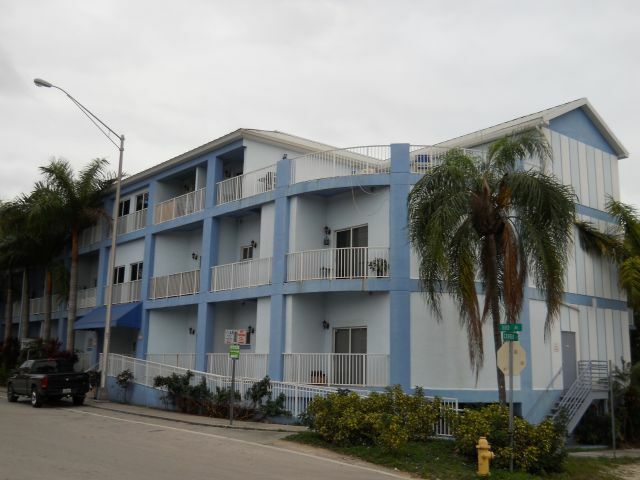 Florida law, as interpreted by the appeals court with jurisdiction over the Miami area, simply does not require banks to pay condo dues and expenses until they take ownership. The banks involved are Bank of America, Flagstar Bank, GMAC, PNC Bank, SunTrust Bank, U.S. Bank and Wells Fargo. Congenial billionaire Warren Buffet, whose company is Wells Fargo’s largest shareholder, probably doesn’t have to worry about garbage collection and electricity. 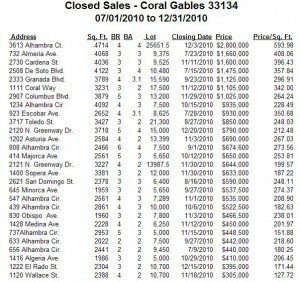 The table below reports closed sales of single-family homes in zip code 33134, Coral Gables, FL. Recent closed sales are the principal guide to current property values in a local real estate market. 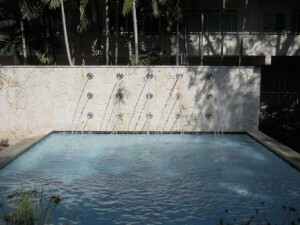 Photo of fountain at University of Miami School of Law in Coral Gables, Florida. 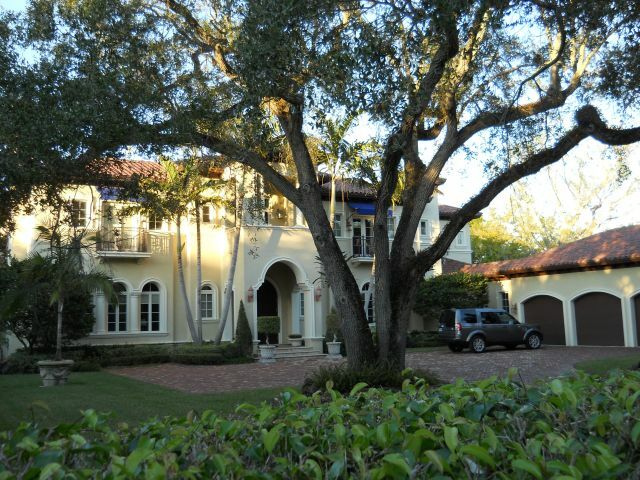 For all the sturm und drang of the real estate collapse in South Florida, there haven’t been that many bank-owned (REO) properties for sale in the more desirable parts of Coral Gables. Recently, however, two listings have cropped up that ought to please even the most finicky bargain-hunters. Both are on Asturia Avenue, a pleasant street two blocks north of historic Coral Way, and one block south of Granada Golf Course. Locals enjoy walking, jogging and biking around the golf course as much golfing on it. 1010 Asturia was listed as a short sale a while back and seemed to have sold, but apparently the deal never closed. Now its’ a bank-owned (REO) listing. I remember seeing this property a few years ago when the asking price was about $900,000. 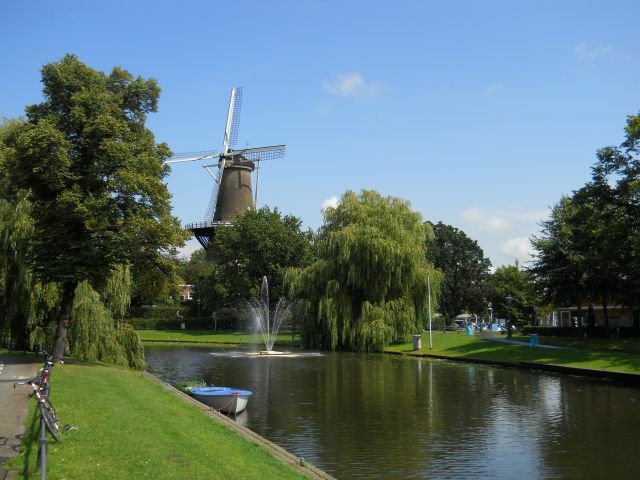 Today’s listing price: $499,000. Similar story with 1033 Asturia: previously listed as a short sale, went pending, now back on the market as a bank-owned (REO) home for sale. Price: $678,150. Tough times on the 1000 block of Asturia Avenue in Coral Gables. But with crisis comes opportunity. The Standards and Poor’s Case-Shiller Home Price Index for the Miami metro area (which includes Coral Gables) has declined for three straight months and hit a fresh new low for the real estate collapse. For the three months ending October 2010, the index level has fallen below its previous low of May 2009. From a short-term perspective, the new low looks fairly significant. But in the big picture, the new low is just a wiggle. Time will tell whether this the start start of a new leg down for the market.